Making a telecommunication network diagram involves many specific elements of telecommunication technology that can be managed using ConceptDraw DIAGRAM. The ability to design telecommunication network diagrams quickly and easily contains in the Telecommunication Networks Diagrams solution. Thus ConceptDraw DIAGRAM supports export to MS Visio 2013 files (VSDX), you can easily share your network documentation with MS Visio users. Open any Telecommunication Network diagram, created with ConceptDraw DIAGRAM. 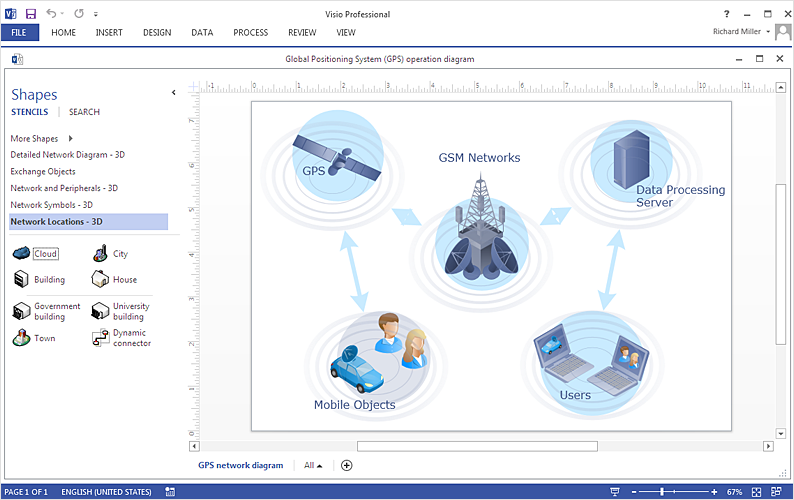 Result: You can easily design a telecom network documentation pack and avoid difficulties while sharing it with MS Visio users.